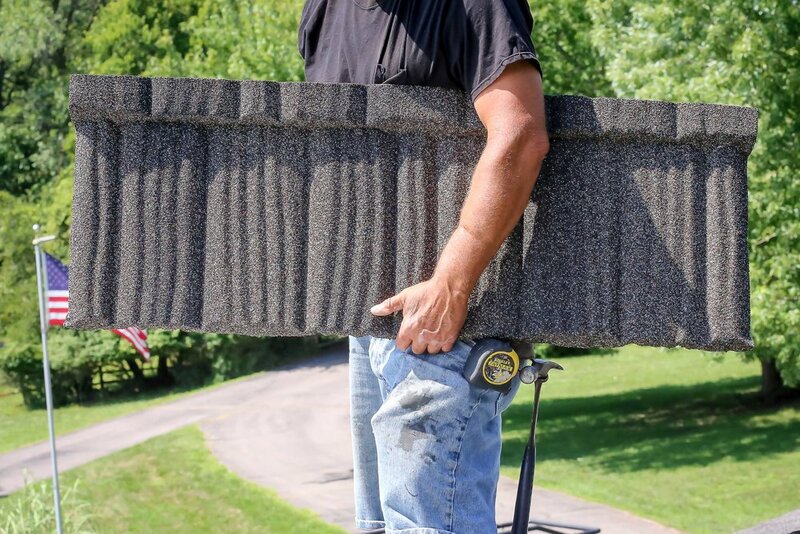 If you’re looking for a rock-solid roofing choice, you’ve come to the right place. Stone coated steel roofing offers unmatched features and benefits. Our premium roofing panels are formed from the highest quality steel and protective coatings, and are incredibly strong, lightweight and weather resistant. We also offer several distinct profiles in a variety of colors, so you can enhance your curb appeal by matching the style and look of exterior you want to achieve. Our shake-style panels are the perfect replacement for handsplit wooden shakes. These corrosion-resistant steel shingles will protect your home from ﬁre, wind and hail for many years to come. Our shake-look panels give the feel of warm wooden hand-split shakes without the need for regular maintenance. These corrosion-resistant steel shingles will protect your home for many years to come. Our shingle-style panels give a wood shingle aesthetic without risk of fire. These corrosion-resistant steel shingles will protect your home from ﬁre, wind and hail for many years to come. Our slate-style panels emulate the look of natural slate without the heavy weight or tendency to crack. These corrosion-resistant steel shingles will protect your home for many years to come. Our rustic panels give the look of hand-split wooden shingles without damage that rotting and fire can cause. 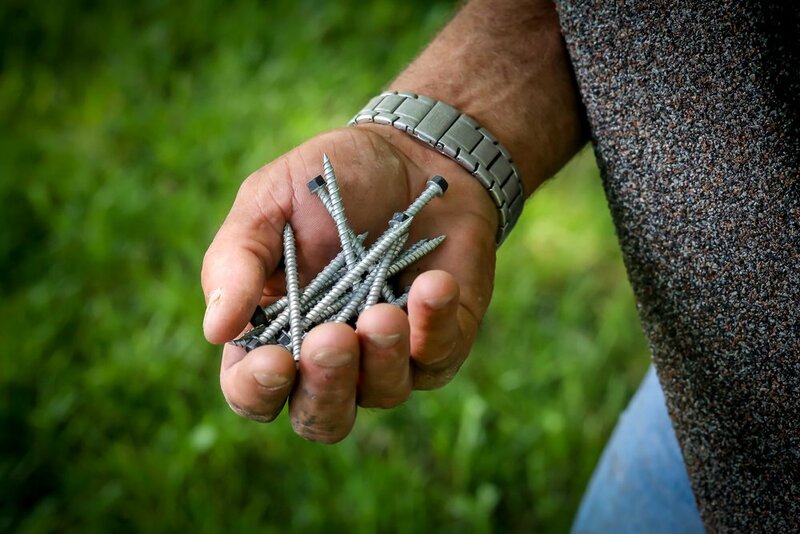 Our corrosion-resistant steel shingles will protect your home for many years to come. If you’re needing a roof specifically for commercial or agricultural application or a ‘modern farmhouse’ residential application, we also install standing seam metal or ribbed steel roofing. These metal roofs are becoming more and more popular in residential homes because they won’t crack, rot, split or break, and are extremely durable. A variety of panel profiles are available, whether your building project is for a residential, commercial or agricultural application. Durable ribbed steel shingles come in a variety of colors and are able to be installed directly over your current roofing material, saving time and eliminating waste. Ribbed steel won’t crack, rot, split or break and is fire resistant. Our stone-coated steel panels look as good as they last! Copyright © 2019 Boulder Creek Exteriors. All rights reserved.